For a strict diet regimen, then daily meal food planner will provide you the set of meals and servings for each days of the month. This plotter will suit your need when following the foods for special holidays and you will no longer be confused on what is to be cooked for the whole week. Like the Daily Planner Templates in Microsoft word, excel and pdf file which can serve your prearranged dishes. 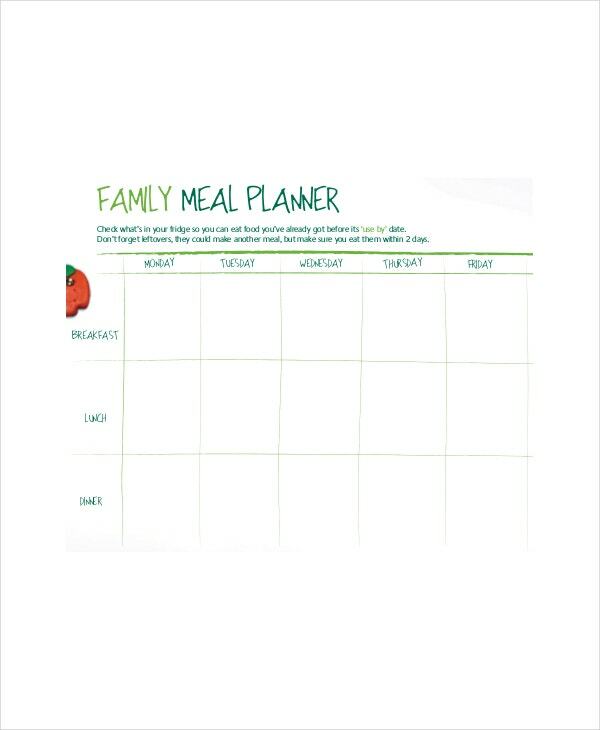 With this, three meals for the day can be accommodated in the planner, with its available sheets that is designed for each person’s preference when preparing the foods that will be eaten by their family or friends. Family meal planner templates give you the best designs and styles that go along with your work perfectly. You can easily understand these templates as they come with easy steps and simple structures. You will see that all your work gets easy and you save a lot of time. 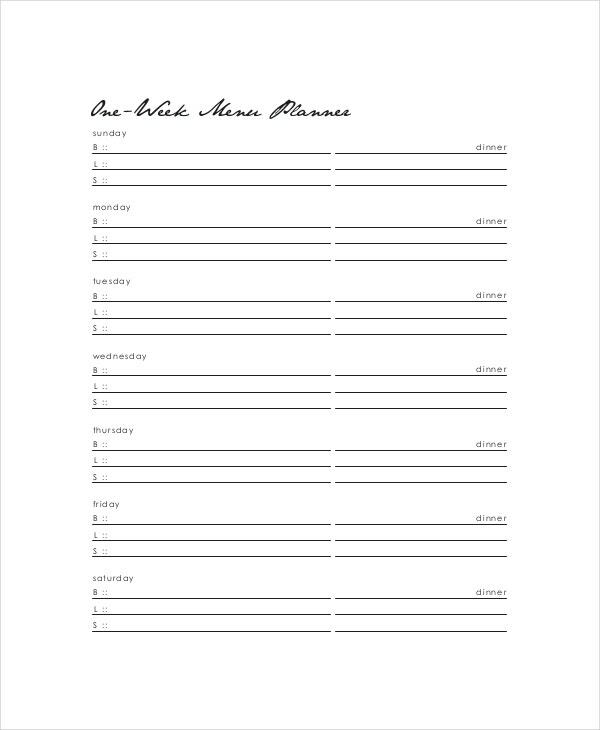 Menu planner templates provide an easy and interesting approach to fulfilling your plans. These templates are capable of recording large sum of data which can be used to make plans and timetables. You can get different interesting designs on these templates and can choose your own for your work. Meal planner templates give you the best templates with their latest features and interesting technologies that are designed carefully to suit your needs. These templates bring all the data in one place and can manage to hold a lot of data in them. You can get these templates in different styles and formats. 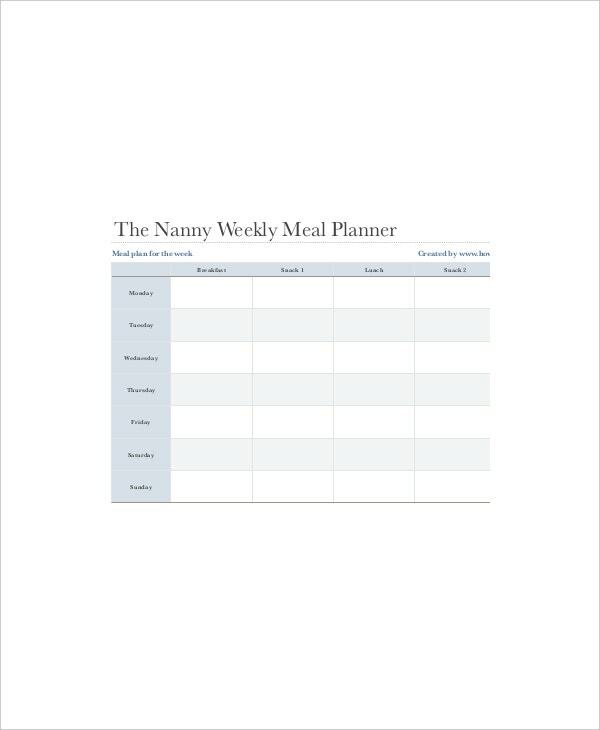 Daily meal food planner templates give you a wide range of templates to use and make your meal plans. These are common in households and other places and so they have a high demand as well. 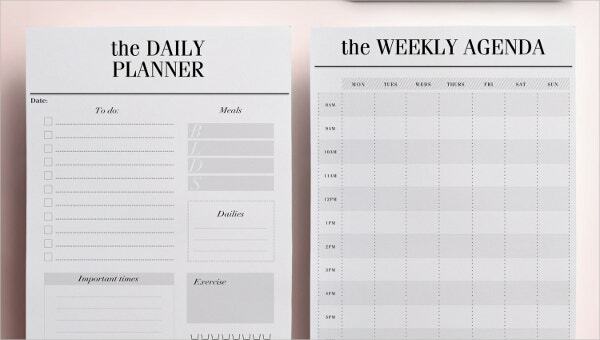 You can also see Best Daily Planner Templates. > Why do I Need Daily Meal Food Planner Templates? Daily meal food planner templates provide you with easy templates that can be understood by you and others. You will see that these templates come with interesting designs to suit you. With their efficient and capable nature, these templates can carry out all your work and can also save your time. > How to Create/Make Daily Meal Food Planner Templates? Daily meal food planner templates are available on various template websites and all you need to do is download them either by payment or for free. They are created by expert designers and then sent in the market for people like you to take advantage of it. You can get them in different patterns and formats. You can also see Trip Planner Templates. 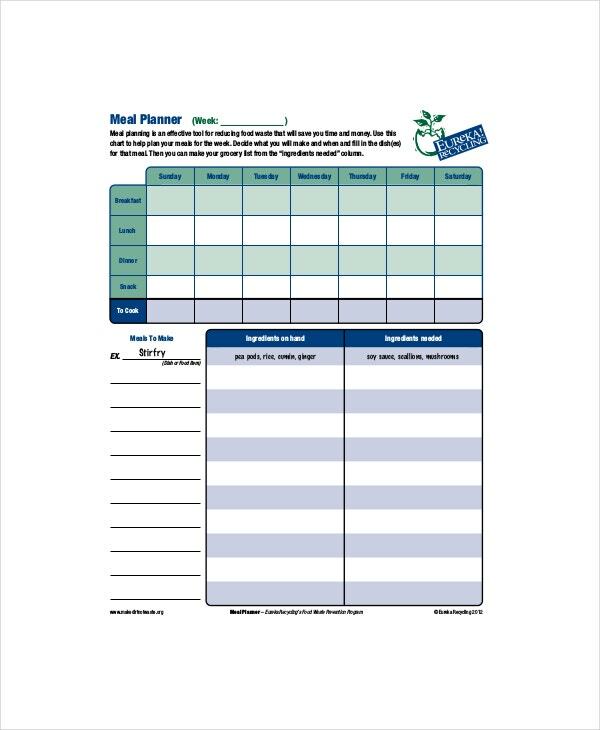 Daily meal food planner templates give you a wide range of templates to work on. These templates are not complicated and make life easy for you with their simple tools and widgets associated with them. They have interesting features that would help you in achieving your task easily. The variety of these templates gives you a lot of options for your work.